Inclusive Ethics begins from two ideas which are part of our everyday morality, namely that we have a moral reason to benefit or do good to other beings, and that justice requires these benefits to be distributed equally. 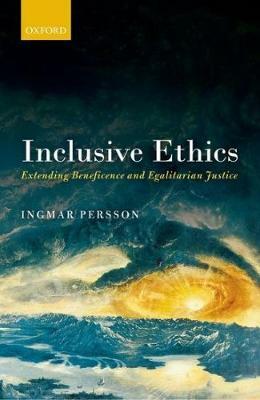 Ingmar Persson argues that, on philosophical reflection, these ideas turn out to be more far-reaching than we imagine. In particular, the reason to benefit commits us to benefit beings by bringing them into existence. Further, since grounds that are commonly used to justify that some are better off than others - such as their being more deserving or having rights to more - are untenable, justice requires a more extensive equality. The book concludes by reflecting on the problems of getting people to accept a morality which differs markedly from the morality with which they have grown up.